How did you do in the quiz, EFO students? 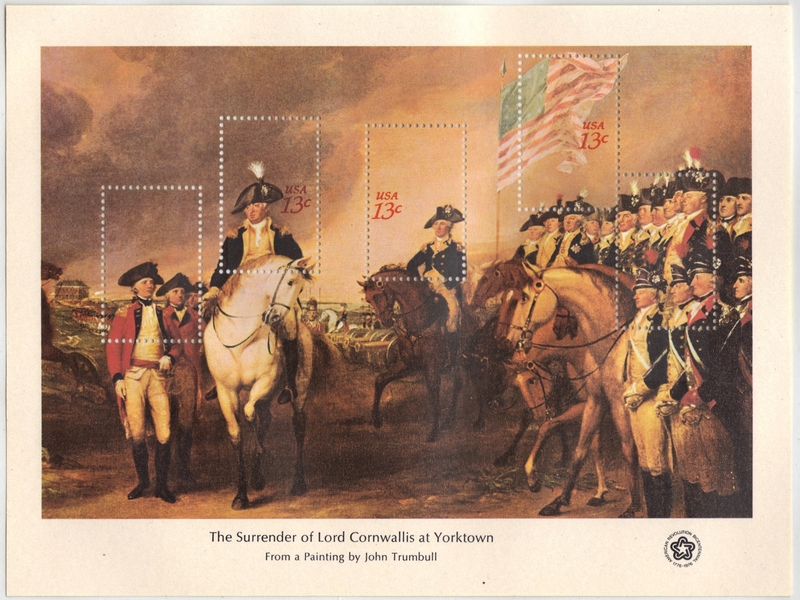 These are from the set of Bicentennial Souvenir Sheets issued by the US Postal Service in 1976. 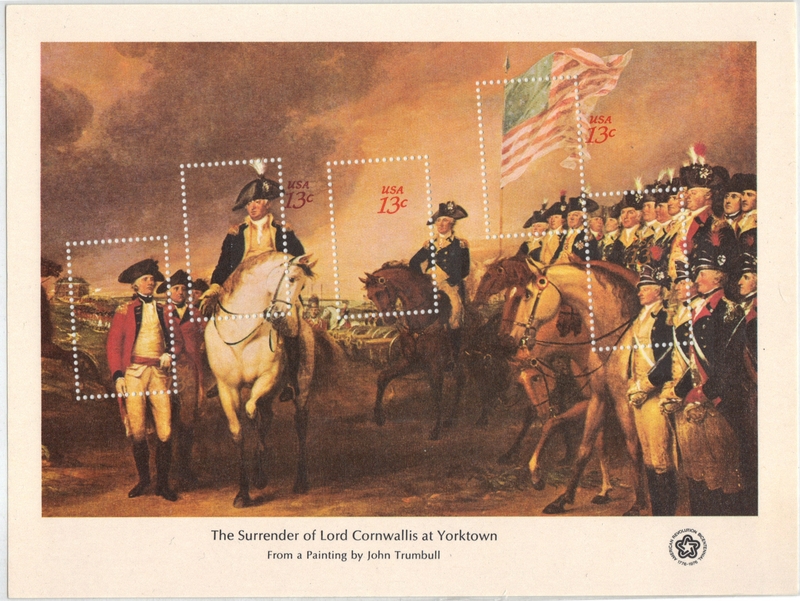 Scott 1686 depicts the surrender of Lord Cornwallis at Yorktown from a painting by American painter John Trumbull. 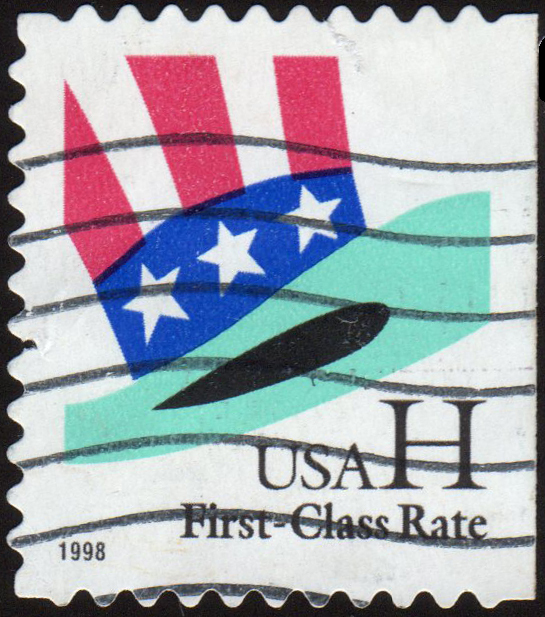 The perforations of the souvenir sheet on the left are shifted upward. 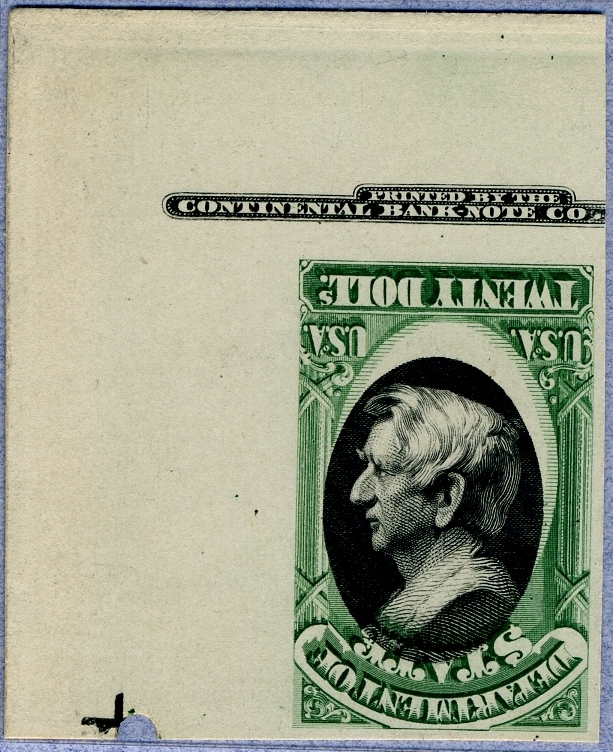 The perforations of the souvenir sheet on the right are slanted. 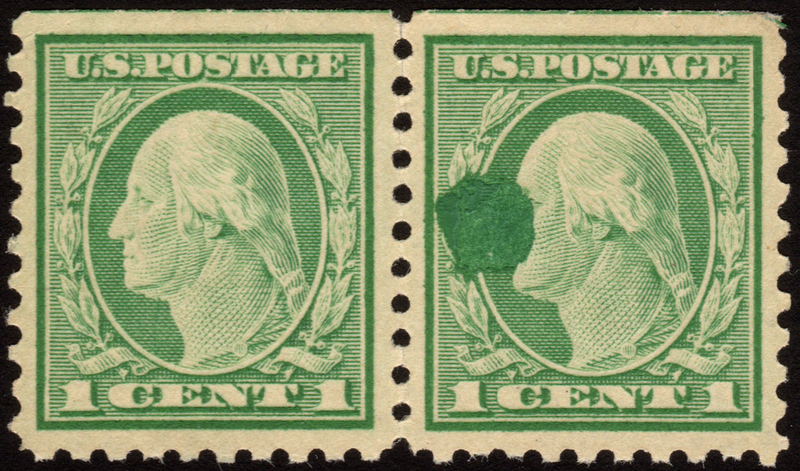 Both of these are fairly scarce, the one of the right might well be unique. 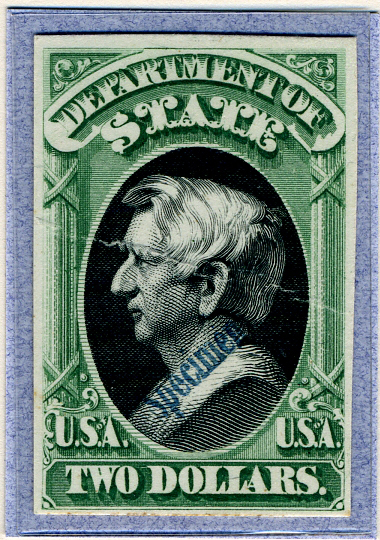 The story featuring these stamps appeared in the April-June 2011 issue of The EFO Collector. They can be pretty affordable. 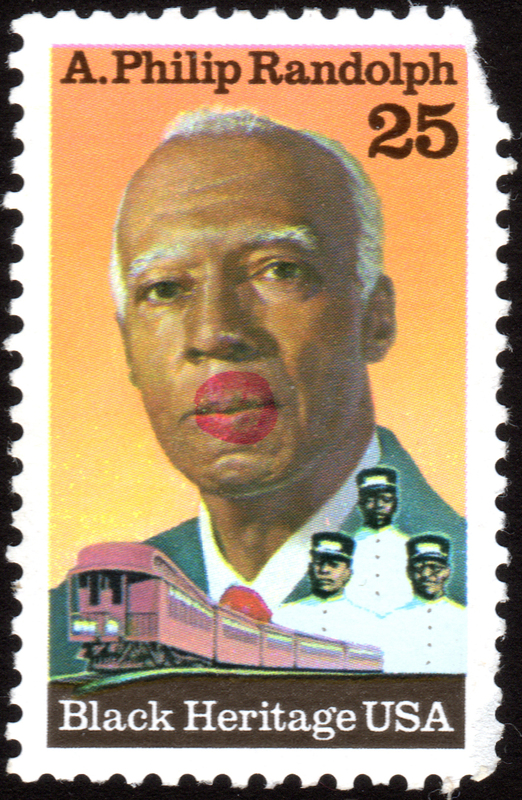 The story featuring these stamps appeared in the Holiday (October-December 2010) issue of The EFO Collector. 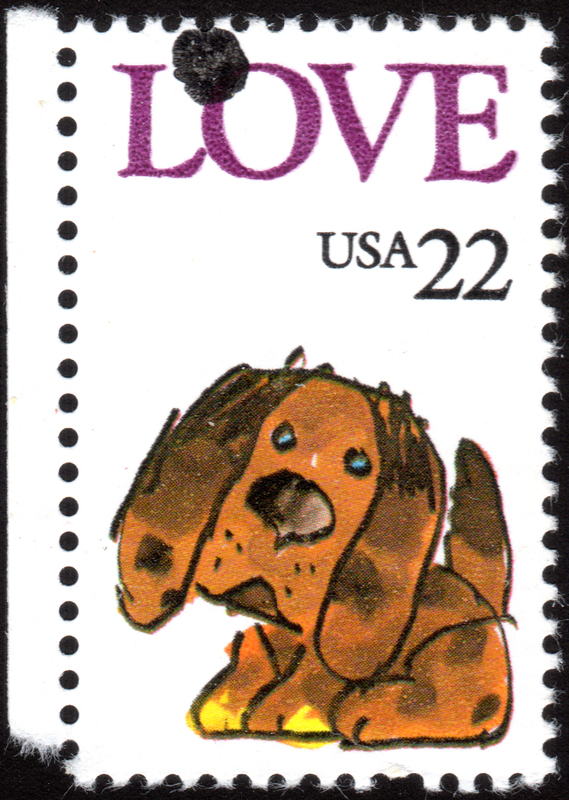 Here is a picture of the "normal" stamp, for comparison. This one has the ultramarine color omitted. This one has a shift of the ultramarine color, giving the impression that there are two children. It is known as the "extra child" variety. 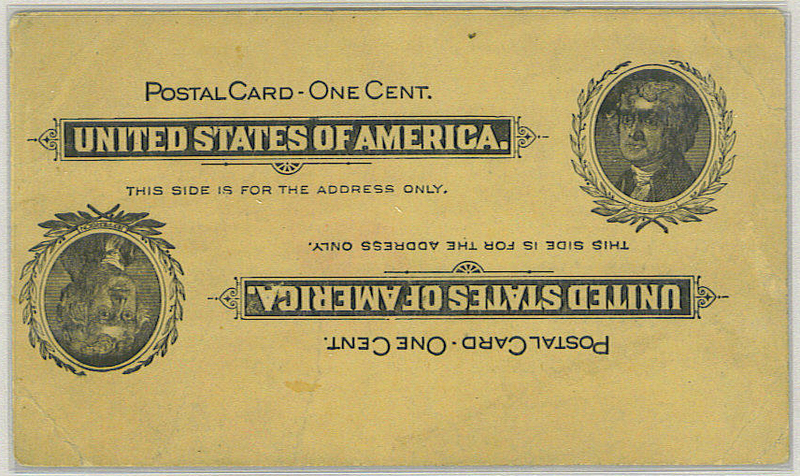 In the following example, the gold color, e.g. the queen's head, is shifted downwards. It is known as the "low queen" variety. 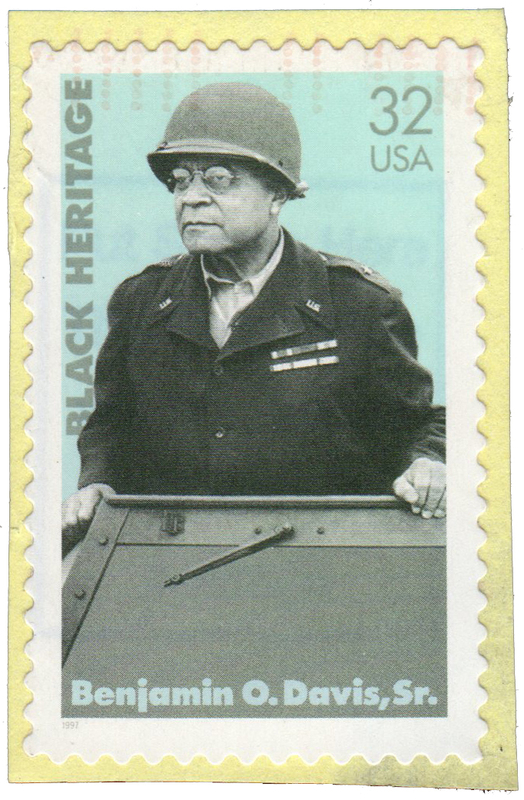 The story featuring these stamps appeared in the Holiday (October-December 2016) issue of The EFO Collector. 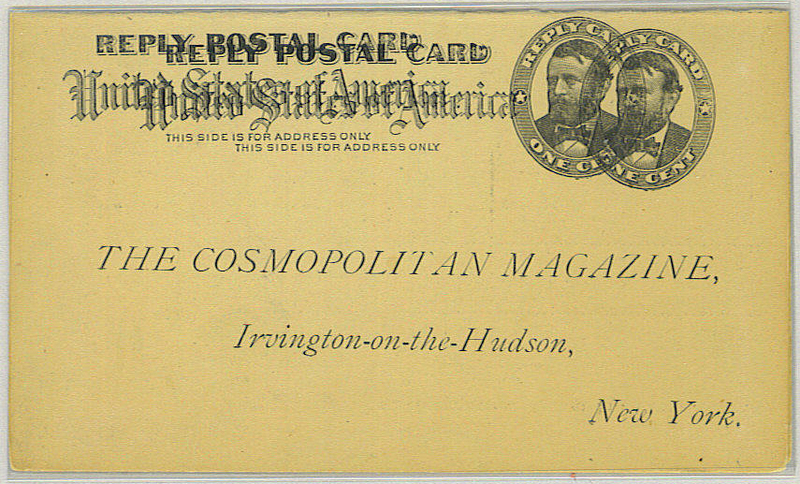 These are postal cards from 1891 and 1898. All feature multiple impressions. 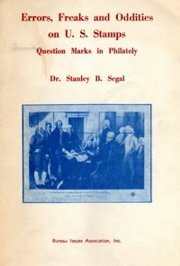 They were all printed by A. Daggett Co. on flat-bed presses. 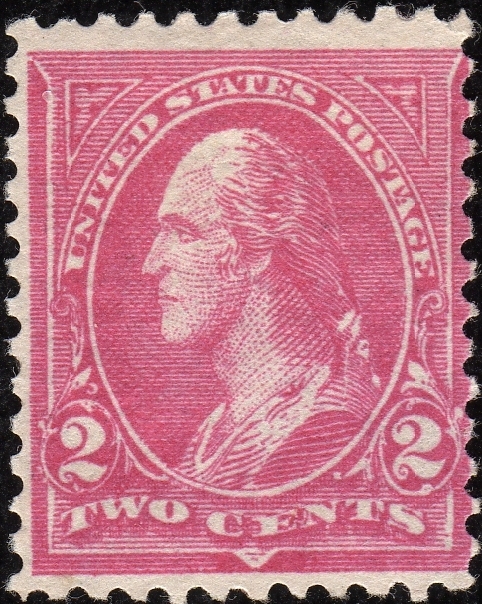 The top one, from 1891, has a triple impressions, one inverted. There are four reported examples. 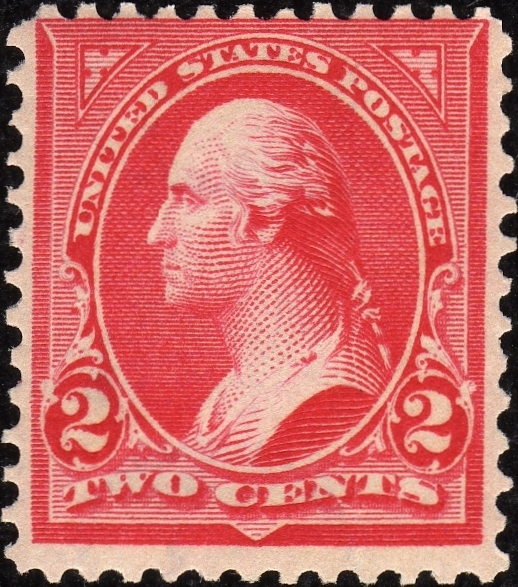 The middle one, from 1898, has a double impression, one inverted. 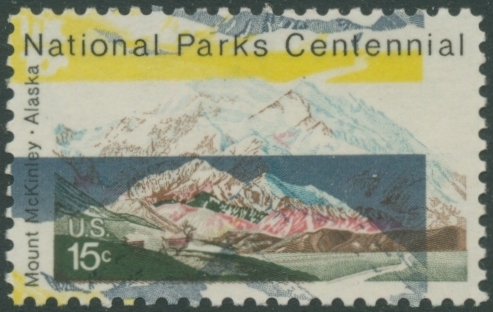 Four mint examples are known. 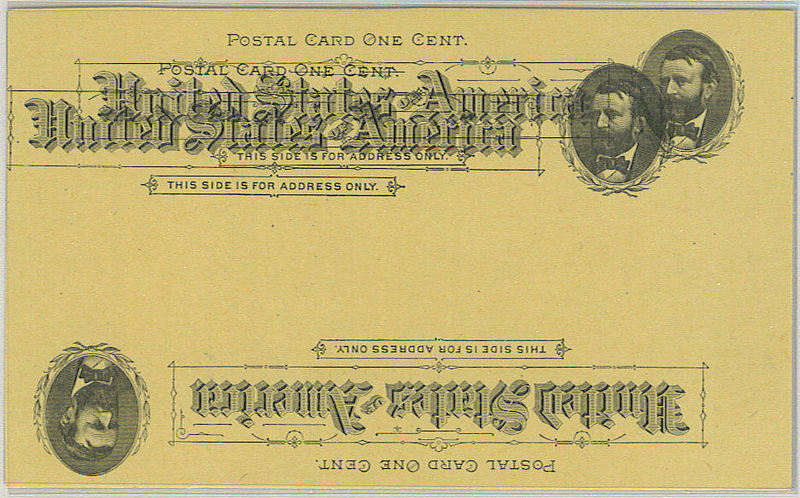 The lower one, also from 1898, has a reply card with double impression, the message card is normal. You can find much more of this here on our website. 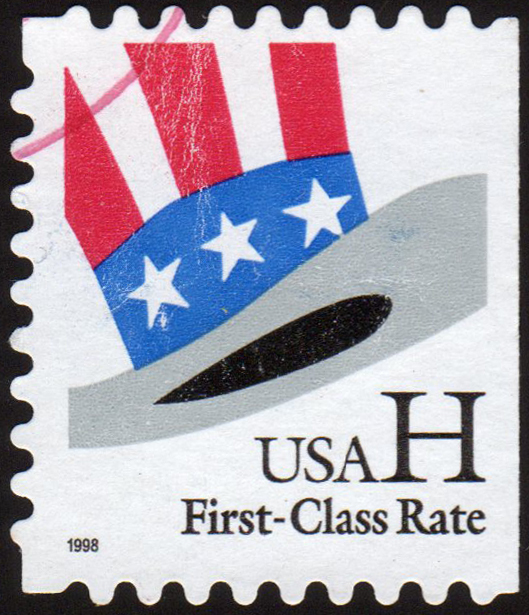 The story featuring these stamps appeared in the April-June 2010 issue of The EFO Collector. 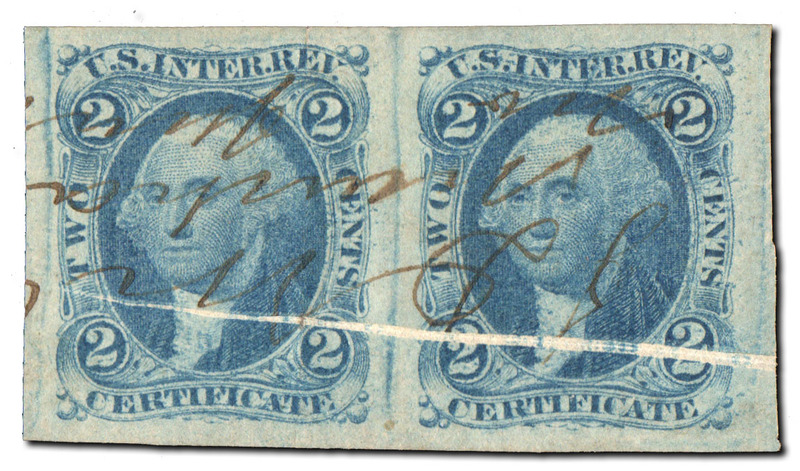 These are from a set called "1873 Officials", prepared for use by the State Department. 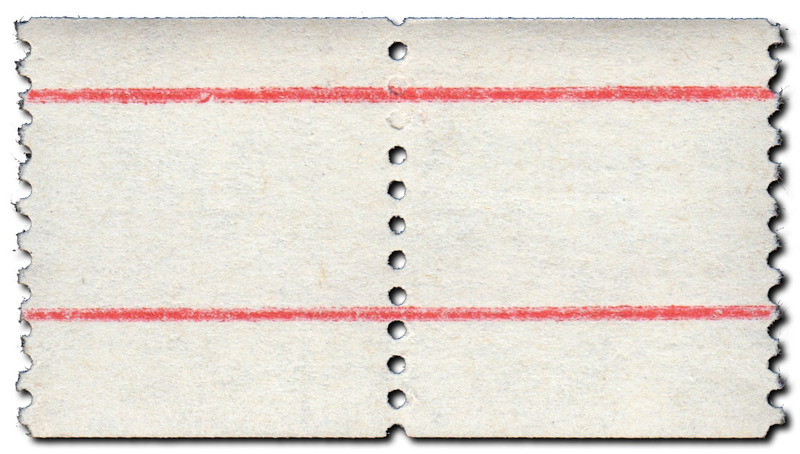 The three left ones are plate proofs on card with inverted and shifted centers. 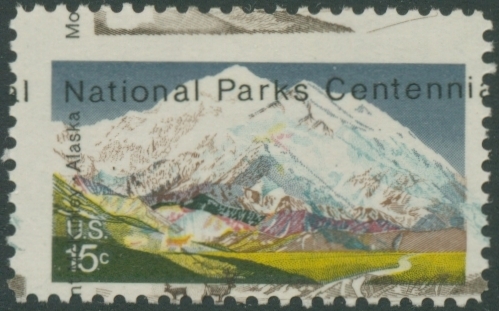 The stamp on the right is a plate proof on card handstamped "Specimen". 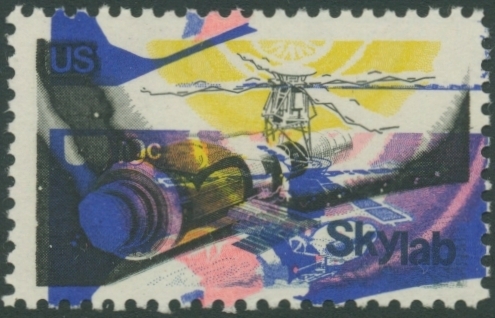 The story featuring these stamps appeared in the July-September 2009 issue of The EFO Collector . 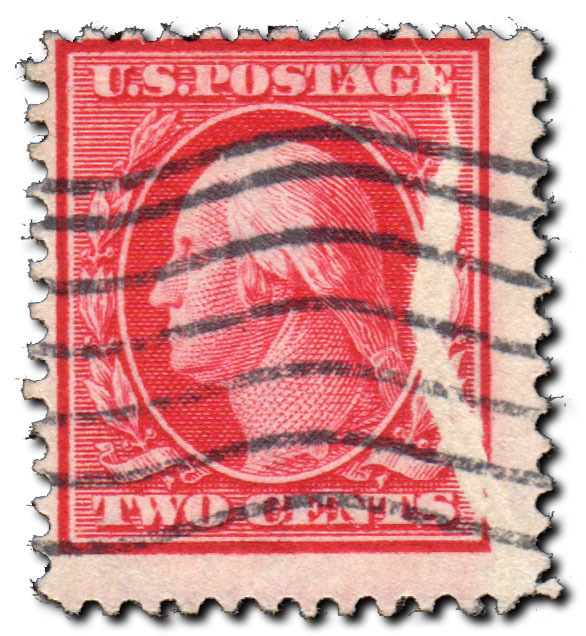 Above, we show the fake stamps in the left column, and the genuine ones in the right column. 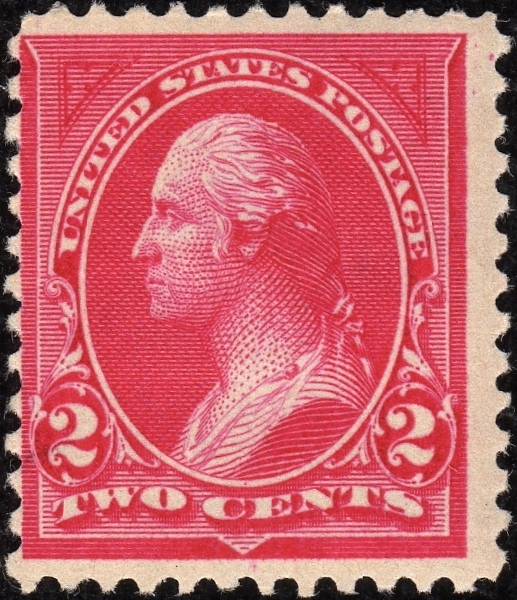 The C on the fake copy of the Scott 250 is a post office marking indicating stamp was identified as a counterfeit. 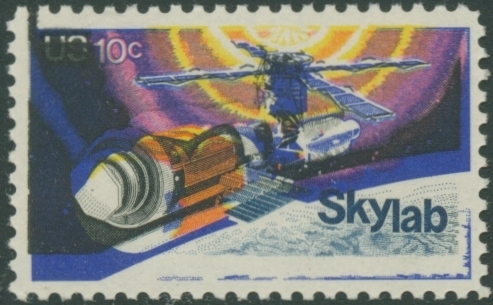 The story featuring these stamps appeared in the October-December 2009 issue of The EFO Collector . 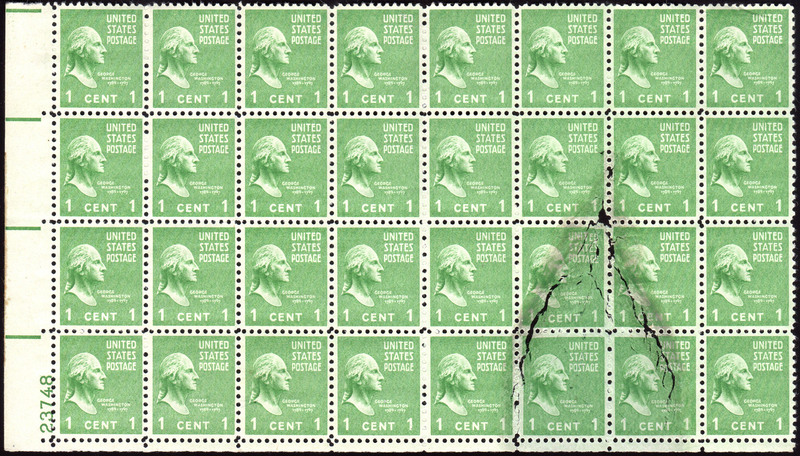 Above, we show the "problem" stamps in the left column, and the ones with the correct color in the right column. 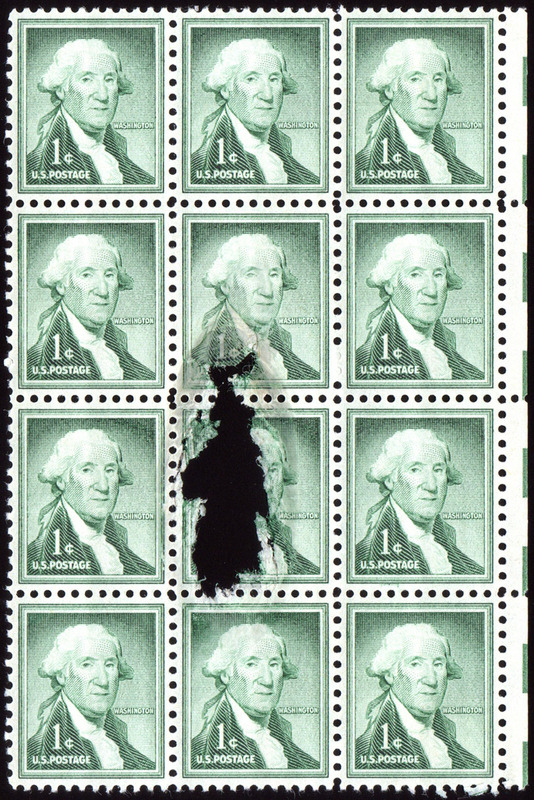 The gray areas of these stamps were all discolored by long-term exposure to light, probably fluorescent light. 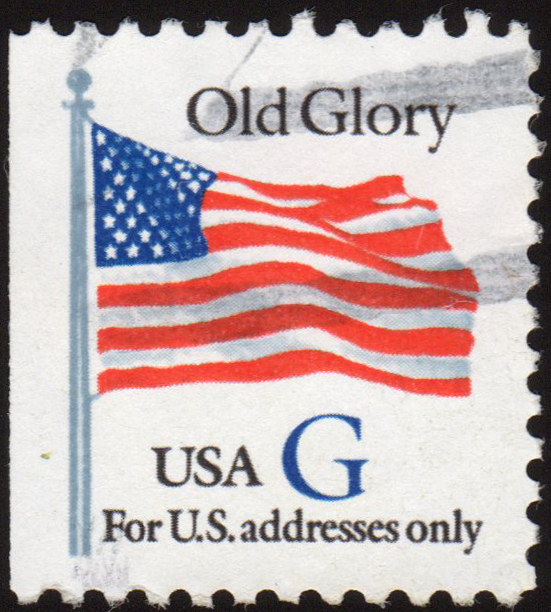 The affected areas are originally gray on all stamps (as shown in stamps in the right column), and colored with the identical Pantone Matching System color known as PMS gray 443. This color is composed ofthere specific PMS colors: Green, Transparent White and Warm Red. It is possible that the Warm Red component disintegrates when exposed to light over a lengthy period of time, resulting in a green shade. 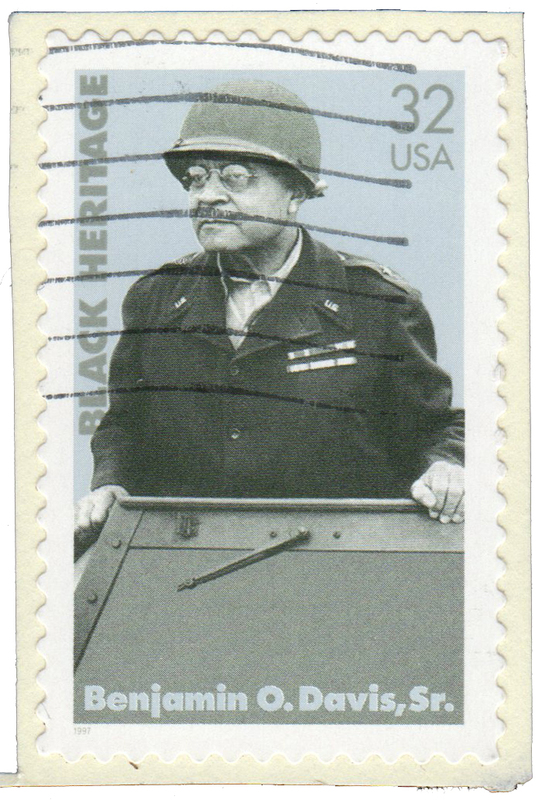 The story featuring these stamps appeared in the April-June 2018 issue of The EFO Collector . Ink, being liquid, is sometimes hard to control at the 100% level. 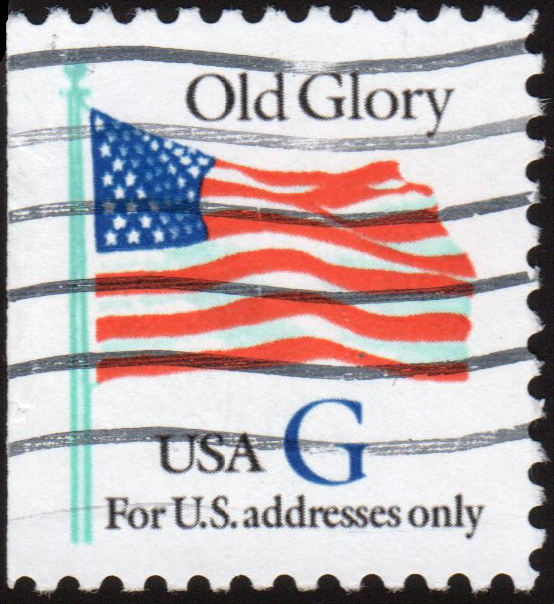 So, it will get where it does not belong, and we find it on both older and more modern stamps randomly. This sort of material has no major following in the hobby, and the result is that there are no hordes of people competing for examples. The law of supply (though this material is unusual) and demand (of which there is not much) means that prices are minimal. Nevertheless, the hunt for such items is a lot of fun. For more detail, see the April-June 2017 (whole number 187) issue of The EFO Collector, p. 16. These items have so-called slime holes or slime spots. These occur when bacteria form slime in the "white water" which is used for the dilution of the pulp mixture before its gets to the paper machine. For more detail, see the January-March 2018 (whole number 190) issue of The EFO Collector, p. 13. 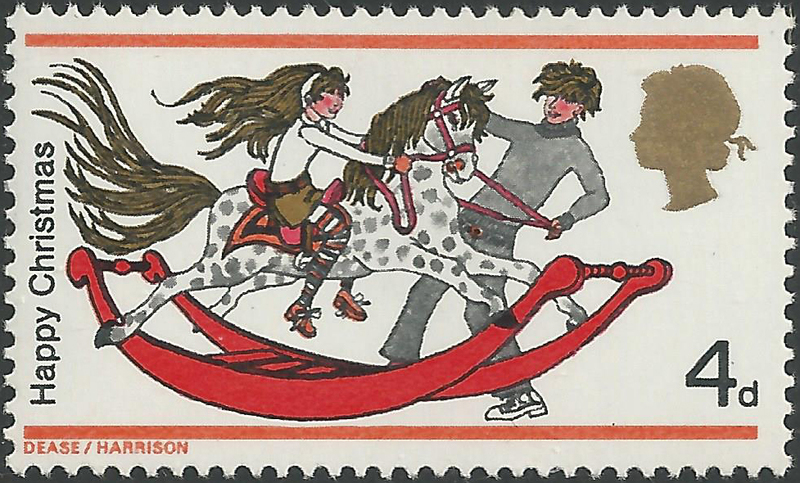 January-March 2018 (whole number 190) of The EFO Collector, p. 16. Printing gap caused by a string, Printers sometime carried bits of string to clean ink off their hands or from the plates. A piece might easily fall onto the paper during production and then dislodge after printing, leaving a gap. 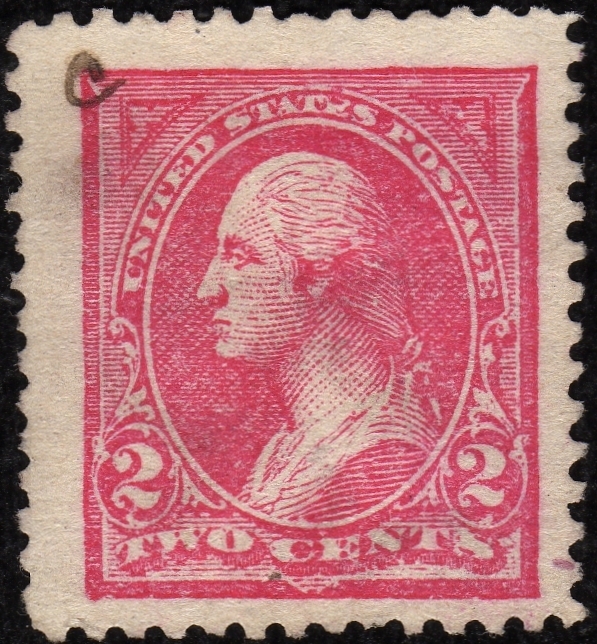 January-March 2018 (whole number 190) of The EFO Collector, p. 15. Home Copyright © 2005-2019 Errors, Freaks & Oddities Collectors' Club. All rights reserved.